401k Withdrawal Rules | How Do I Get My Money Back? What if you have an emergency and you need the money right now? What if you are planning on buying a house? What if you are plan to retire early (before age 59-1/2)? The first thing you should know is that when it comes to putting your money into your employer’s 401k retirement plan is that the money is always yours (not your employers)! This is a very common misconception for people are unfamiliar with how a 401k works. They sometimes mistakenly think that if they put their money into this plan and then lose their job or get fired, then they lose it. This is just not true. Your money is always your money; by law. Whatever you invest into your account is yours to keep. The one thing you may surrender from your 401k if you lose your job are the contributions that your employer put in for you (called employer contributions). Usually your employer contributions are subject to special waiting periods called “vesting” where you have to wait a short amount of time before the money is truly considered yours. Now keep in perspective that this IS an investment account. And just like any investment account, the assets can either go up or they can go down (depending on the market conditions and which investments you picked). So it is possible that you could end up with less or more money than you started. 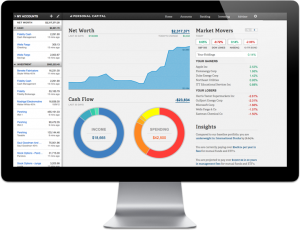 A really easy way to keep track of your 401k and get weekly email reports of your portfolio balance is to sign up for a free account with Personal Capital. Not only will it help you manage your retirement savings progress, but it can also be used to help you budget other areas of your personal finances as well. This is the price you pay for being able to grow your money tax free until you are financially or legally ready to take it out. That’s not a bad trade off when you consider how much extra money that could result in for you over the long run! Once that day finally comes when you do retire and start taking the money out, you owe taxes on it just like you would with any of your other income. In fact, because the IRS does not want to wait for forever to collect their taxes, one of the lesser known rules to 401k withdrawals is something called “required minimum distributions” or RMD. This rule basically states that you are required to start taking out your money by April 1 of the calendar year that you turn age 70½ (or April 1 of the calendar year after retiring, whichever is later). Sarcastically, some people have also dubbed this a “reverse hold-up” (instead of someone forcing you to give them their money, they force you to give it to yourself). If for any reason you need to take money out of your 401k sooner than age 59-1/2, there is generally a 10% penalty to be paid on it (on top of the taxes you are already required to pay). Each one of these exceptions carries their own set of rules and obligations that you must comply with (posted at length on the IRS 401k resource guide). It is highly advised that you speak to a legal or financial representative before using any of them. In addition, since the 401k vs IRA effort is intended to help you create a secure retirement, it is not recommended that you take money out of your 401k (or any retirement plan) early unless it is truly your last resort. The reason for this is because when you do, that money is no longer in your account generating returns. This disrupts the effects of compound interest which can alter the potential overall balance of your account greatly. Tread with caution if you must exercise this option! Before reading your article I do not understand how 401 Central rules work? Thanks for sharing as it will help me in my future. It sounds like there are some other details with the loan that you will need to work out with your 401k plan administrator. I have a question ? I had 401k from 2001 and in 2014 i went to try and take a loan out on it qnd when i called HR they informed me that it had all been taken out in 2003. I kept calling the holders of my 401 k k now now i dont understand how could someone get access to my 401k cause i never took anything out .can someone help me ? How do I find out if I still have money in a 401k from a job I quit 31 years ago? Is the company still around? Do you have any old bank statements that the company issued? Since the money in a 401k legally belongs you, I’d assume that the financial institution would have to notify you or attempt to contact you before any changes or seizes occurred (providing the financial institution is still in business). I would start at one of those two places. If the amount is significant, you may even want to consider hiring a legal professional to track it down. RE: They sometimes mistakenly think that if they put their money into this plan and then lose their job or get fired, then they lose it. This is just not true. Back in the day (late 70’s to mid-80’s) the rule was you had to be with an employer for EIGHT YEARS to be fully vested! This was during the 80’s recession and I had like 4 jobs during that period and I never, ever got to stay at a company more than 3 years – I lost ALL of the money I put into the employer 401k plans because I got laid off every time. The other participants in the plan who WERE vested got my money. It wasn’t until I moved to California and the laws were changed – to ensure an employee was vested after FOUR years v. eight – that I was finally vested 100% with my employer (of course here I was employed over 8 years – go figure). So, it wasn’t until 1987 that I finally got into a 401k plan. Sandra – What you said is only correct if you are talking about money that your EMPLOYER contributed to your 401K. Any money that YOU PERSONALLY contributed, say by payroll deduction, is ALWAYS yours to keep or take with you when you leave a company. If the only money in those 401Ks was deposited by the EMPLOYER, as matching funds, or employer contribution, then Yes, those funds are usually subject to a vesting schedule to be able to keep it. (Usually 5 years now-a-days) But YOUR MONEY, deducted from YOUR paycheck, if that was the case, that money is still sitting there! Employer contribution or matching funds, are optional for an employer to even provide. Sort of like a bonus to encourage you to participate in the plan and a retention tool. If YOU did not contribute anything during the short term you were employed at those jobs, you really did not lose anything. You just didn’t get anything extra. Hope this clarifies things for you a bit. My money was stolen from me when I made a phone call and was told that I had a zero balance! I was collecting after 5 years and was with the company for a while. I was told on the phone that the money had already been withdrawn. I told the lady that I did not withdraw the money from the account. I want to see my forged signature and other paperwork that I did not fill out so that I can press charges. I am so flaming mad!! My account is now at 0 and it says on my paperwork that there were withdrawls but I never took money out! How is this possible?? I fell behind on my child support and actually struggling to survive this expensive world,where or who do I talk to about collecting 401k? By the way i’m 36,please help..feeling desperate! If you have any 401k savings with previous employers, you should be able to call up the investment company to get access to it. If you withdraw it, there will be taxes and fees to pay. 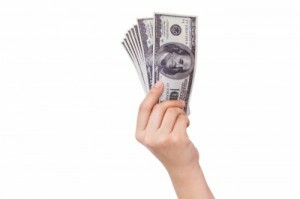 If you arrange to take it out as a loan, you could get it at a low interest rate. But you will have to pay it back. What if you are over 59 and a half, are still working for the company your 401K is with, and won’t to continue working there. Can I take my money out? Meant to say want to continue working there. Good question. While at first my response was “yes”, I started to second guess myself and decided to call my own 401k provider just to be sure. They assured me that you can in fact start taking money out after age 59-1/2 AND continue to work AND contribute to the plan. I am 66 years old still working and I wanted to withdraw some funds from my 401K. The companies 3rd party administrator has said I can NOT at any age take money out unless there is a hardship. Is this true? I just quit my job a month ago and I have a 401k plan I worked there five years how long do I have to wait to get my money. I’m only 23? The IRS says you would have to wait to until age 59-1/2 to start using your money. Otherwise if you took it out early you’d have to pay taxes and penalties. There are some exceptions such as college or housing expenses that are worth looking into. You could also always roll it over into an IRA. The funds for your 401k plan should still be available. Your 401k plan is usually held outside your employer’s reach with a reputable financial institution. All you need to do is contact your former employer’s human resources office or find an old 401k statement. Find out who the financial institution is and let them know that you would like to have access to it. Be remember that any money you take out before age 59-1/2 could be penalized and taxed. I’m at the age of 70 1/2 and am still working. The company stated that I do not have to take out any so called 70 1/2 and after funds until I quit their employment. Is this correct, as I don’t want to loose any of the monies to penalties of not taking it out in incruments. You are incorrect. Only owners and terminated participants must take a 70 1/2 MRD! I am 66 years old and I have moved my 401k money into my checking account. Do I have to pay tax to withdrawl the money from my checking account? When you file your taxes at the end of year you will more than likely have to pay ordinary income taxes on the amount of money that moved from your 401k to the checking account. I have been working in the U.S. for nearly 7 years under H1B visa. Through my contract I have to pay 401k for the last 7 years. Now I am planning to go back to my country. question1: how long does the process take to get the 401k money? question2: is it possible to directly deposit it in my checking account if I left the U.S before I receive it? question3: is it possible to roll it over into different retirement plan overseas? question4: would it be possible to consider housing expenses overseas to reduce the penalty? questions5: would it be possible to consider college expenses for my son who wants to continue his education here in the U.S. to reduce the penalty? Thank you for the questions. Unfortunately since I am not a financial advisor, I would advise that you contact the financial institution that holds your 401k and pose these questions to them. Since they are probably faced with these kinds of challenges all the time, they should be equipped to help you make the best and legal choices. Hello here is my question I have fallen into financial hard ship and I have a decent amount of money in my 401k with an employer I worked for for 7 years and when I called them to take my money out of my 401k they said I have to wait till next year and can’t take my money out untill next year on the month I was hired is thia true or are they just giving me the run around because I need this money now. It’s possible that you may have to wait that long. Each employer gets to dictate the exact rules of withdraw with the financial institution. For example some companies make it really difficult to take out loans. Have have a decent 401k and am thinking about retiring (I am 59 1/2) from my current employer. If I have them transfer that to an IRA will I have to pay the tax of the whole amount at the date of transfer, or can I pay the tax on only what I use from the IRA? Is there a strategy to use to achieve this so that I can write checks from an account for living expenses right from my IRA/401k? You should contact your IRA provider and ask them to go over your options. They will have a much better idea about any taxes or fees that will be associated with those choices. As I understand it, you unfortunately you do have to pay taxes within the year you transfer IF you go from a traditional 401k to a Roth Rollover IRA. However, if you setup your Rollover IRA as a traditional, then no taxes have to be paid that year; just on what you withdraw for expenses. Thanks MMD… It is a traditional IRA so your comments reflect what I have read. .will check with the IRA provider to confirm. Unfortunately I don’t think that’s going to be an option. Whether you exercise the age 55 exception or convert your 401k into a rollover IRA to take a 72t, both options require departure from work. If you really need the money, you could always borrow against your 401k. My employer canceled my 401k program the options i hade were roll over or cash out i selected cash out. I am fully vested and submitted my paper work to cash out minus taxs. 1 week later i get a letter stating i can not get my money for 2 to 3 months…why….if they canceled the program and i am fully vested shouldn’t I be able to get my money asap…aren’t they making money off my money??? Unfortunately most of the time you can’t access your money while you are still employed unless the employer approves the withdrawal. If you truly have no other options, then perhaps consulting an attorney as you have already done is the right place to turn next. I got laid off a couple of years ago and I found out my job put me in a 401k account. They send me letters and all I asked them if I could withdrawal and they told me no. Is this legal after all its my money! Though you may not be able to withdraw the money without penalty, you should be able to roll it over into an IRA with a new financial institution. Call the financial service provider that handles the 401k account and ask them about your options. Thanks I found my answer reading one of your replies. I got a 401 K early withdrawal. The Admin says it was disbursed 12/26/12, but it was not deposited until 01/2013. Can it be claimed in 2013 instead of 2012? What I guess I just don’t understand is this. I know that I should NOT be pulling any money out of my 401k until I retire, but I don’t understand how all of these restrictions apply if it is “legally my money”? I mean, I need a new roof on my home and I don’t have the cash or credit to get a loan. I tried to get money out of my 401k and my plan administrator at my employer said you can’t use that money for home repair unless it’s from a terrorist attack or a hurricane. I mean, wtf. If it’s MY MONEY, why can’t I access it whenever I want??? I fully am aware and willing to pay the penalties that are associated with this. I just don’t understand how 401k programs can say it’s “legally your money” but you can’t have access to it. I’m bent out of shape about this. I’ll probably be dead before I’m 59 and a half anyway! Does someone have a realy answer to this? Yes, the money is definitely yours. But unfortunately because a 401k plan is dictated by your employer, the rules of how you can access it can vary widely. Most employers will allow some kind of hardship loan or something like that in extreme circumstances. But I have also heard (and it sounds like this may be more your case) where employers make it next to impossible for the employees to withdraw their money early. This is partly to discourage the employee from “ruining their retirement”, but also because it can be a hassle for the employer to deal with the financial service company for these kinds of exceptions in terms of paper work, sign-offs, additional fees, obligations, etc. One such way to gain full access to your money is to leave your job. Once you sever employment the employer no longer has any claims as to when you can withdraw the money (although waiting periods to access your money as long as one year may still exist – read some of the other comments from the other readers). If you wish to stay at your job, another option would be to seek legal assistance in pressing the issue with your employer. If they know that you are that serious about accessing your money to bring about legal opposition, they may fold on the issue and grant you the ability to borrow. It’s meant for retirement, not a savings account!! Unless the 401k plan or IRA service provider has any special company-specific restrictions, I don’t see why not. I no longer work for the company I started my 401k with. I have a new job, so I am not putting anything money into the account. So can I get my money out or do I have wait til I am 59? You can leave the money in the old 401k, role it into your new 401k plan if your new job offers one, or role it into an IRA with a brokerage of your choice. In all three circumstances you still can’t access it until age 59-1/2 without taxes and penalties. I recently took a loan from my 401 k. My employer 1st told me the check was lost in the mail. When the Investment firm reissued the check they once again sent it to the employer. Low and behold months later both checks came to my house in the same envelope. can companies use the monies that are in the 401K? Is this illegal? if i dont know name of institution that my 401k was envested in and the company shutdown,how do i go about getting it? You should have received some sort of statements. I would start there. 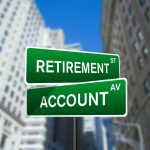 What are the rules for withdrawing finds from a 401k after age 70? WHat percentage must I withdraw each year? I am a “consulting employee” for a large company. That means I don’t have a regular job but am assigned to tasks as needed. I don’t get any matching funds. I sometimes go for many months between assignments. I opted in to the 401k, because why not? I have a small amount of money there and I just discovered that the fees are quickly decimating the balance. The balance is around $600 and dropping every month as a result of the $12/month fee. Any gains are in cents, not dollars, each month. I wanted to close the account and transfer the funds to my regular IRA at another institution but the 401k admin (Vanguard) and the company are telling me that although I can opt out of contributing, I cannot close the account or get the funds unless I leave the company. And I am still subject to the monthly fee whether I contribute or not. And that it’s an IRS rule. Do you know if this is indeed an IRS rule or if I have any option for getting the funds other than separating from the company? Unfortunately this may be true. While I am not aware of any IRS rule, I do know that the plan administrator holds all the power when it comes to opening, closing, transferring, or lending money from any of the participants’ 401k accounts. Try pleading your case to HR and seeing if an exception can be made. At a minimum cease any further contributions to that plan and instead opt for an IRA so that you have all the control. I just retired after 27 years with my past employer at the age of 57. Now that I am retired, am I able to withdraw funds from my 401K account or do I still have to wait until I reach the age 0f 29 1/2. Are 401K contact is saying that we cannot take money from the 401 k that not being able to pay the rent and utility bills because he was attacked by a pitbull and cannot work that is not considered a hardship they want us to give HR lady our bills for medical only and they will pay them I don’t feel that this is right? He should be able to take that money when he wants? All of it not what the employer has what he has? I want to withdrawal all my money. I’m 62, are there any penalities. Will taxes be taken out at one time. In general, the IRS says you should be able to withdraw 401k funds after age 59-1/2. But some 401k plans have additional restrictions. Check with your provider to be sure. Yes, any money you withdrew would count as part of your taxable income (as if you had earned it all from your paycheck). Check online how to calculate or consult a tax professional for help. Leaving a job. I want to take my 401k with me. My plan person said I have to wait 4 months to get my money. I never heard of this before. Is this even legal? I think it’s spite work but I don’t know if my employer is allowed to hold up my money for 4 months once I requested to cash it out upon leaving. I worked at Costco for 12 years now and i want to quit early and go back live in the country where i came from , anyone have an idea if i can get all of my money for the last 12 years in service!? My father passed away, leaving us as beneficiaries. Will we be taxed for cashing out his 401ks? He’s worked his entire life, 20+years at one company, and was 60+yrs old. I separated from my employer Feb 14, as of March 15, the employer has delayed providing me with the necessary forms to withdraw my money from the 401k plan, claiming “were sorry, were a little behind with our retirement paperwork.” The most recent communication stated that they would try to get to it next week. I am 100% vested and over 591/2. Is there a way I can force the employer to comply with my request? My daughter, who is 44, got a divorce Sept. 2016. As part of the divorce settlement, she got half of her ex-husband’s 401K. It was supposed to be a check sent to her, but made out to the bank FBO her to be in her own, new IRA. Instead the company handling the distribution sent her a check in her name & they took out 20%. She and her attorney have been in contact with the company and they won’t reverse it. They are saying it wasn’t their mistake & it happened too close to the end of 2016. My questions are did they take out 10% for the penalty & 10% for taxes? Where does the penalty go? Does she ever get that money back? She is considering keeping the money, paying the extra taxes and stop fighting. Her attorney hasn’t gotten anywhere either. What would you suggest? Someone fraudulently withdrew my entire 401k! I’m at a 0 balance! What do I need to do to get back my money from the company? Please advise. We built an addition a few years ago and spent quite a bit on it. It was needed to make the house more valuable. Wife took a new job, but it only lasted a few months due to financial chicanery on their part. (Thanks) She has a new job, but making MUCH less. We are now overleveraged and need some financial aid. Wehave a 401k with a couple of hundred grand in it We would like to take some of it a pay down our mortgage. As soon as we are able, we will start making contributions to her new job. She is only 49. We plan to sell the house in a few years and pay back the 401k with it. We have Fidelity. We are both working, bu we’re strapped for cash due to no real fault of our own. Does this make any sense to do ?Thanks. .
My husband was let go from his employer after 20+ years of service due to medical reasons. He has severe Rheumatoid Arthritis and got to the point he couldn’t make it in to work everyday any longer. He began contributing to his employer’s 401K plan the first year he began work. Employer matches. QUESTION: His employer said he has to wait at least a year to get his money out to roll over to an IRA account. Why is this so? Other employees that quit or were laid off that were also fully vested have gotten the same answer. How can an employer keep you from getting your money? The intent is to roll it over into an IRA at our financial institution. Is this legal for the employer to hold it for a year, dictating when it can be withdrawn? I’ve been laid off three jobs where I had 401Ks, fully vested and it took a max of 3 months to get the money rolled over into my IRA. You should consult with a financial adviser who can look more deeply into this particular issue. In general employers don’t have any control over your money or 401k plan once you leave work. However, the terms of every plan are just a little different and depend upon how it was setup by the employer. For example, my employer makes it almost impossible to borrow from our 401k though this is a pretty common feature. If you really need the money, I’m sure a legal professional could advise a way to break the terms of the employer rules. I retired at the age of 63; and I will be 71 in December 2014. I have several IRAs and a 401K from previous employment. How do I determine how much has to be withdrawn from the 401K on a yearly basis? Is there a table to be used? Thank you for your help.